Electric Underfloor Heating Living Heat Underfloor Heating systems. 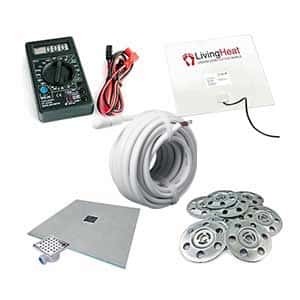 Get a full underfloor heating kit! technical support! 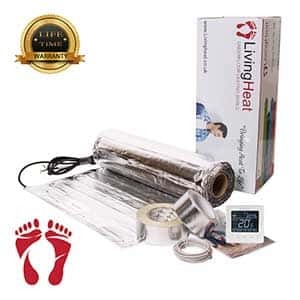 Get a full underfloor heating kit! Insulation is a crucial part of any underfloor heating system which will increase the efficiency of the system and reduce warm up times. Choose your underfloor heating kit for your floor covering and your desired power output to change the response rate of the system. Last but not least choose your thermostat. Your thermostat will allow you to set your temperatures and control your heating. Shop safely and securely with Living Heat underfloor heating. Payments are 100% secure and remain confidential. Our under tile heating systems come complete with lifetime warranties for total peace of mind. Our friendly, knowledgeable staff are always here to help, providing you with a service that’s free and we’re always happy to help. Order before 1 pm for free next working day delivery to UK mainland addresses with all orders over £50. AI system, Like the Amazon Alexa. adding your underfloor heating into the mix. 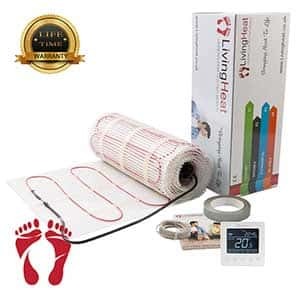 Living Heat has been selling electric underfloor heating in the UK for over twelve years. Today we now stock the largest range of electric under floor heating systems in the UK. We have also expanded into other countries and currently export our floor heating and insulation’s to 16 other countries. We offer free technical advice and pride ourselves on product knowledge and after sales service. If you have any questions or require assistance please just give us a call – we are here to help. 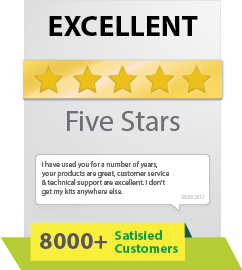 We welcome all reviews good or bad because we believe our service is second to none. However there is always room to improve. Help us help you by letting us know how we did so we can improve our service further. The heat from an underfloor heating system has a much more even heat distribution is far more comfortable and efficient than a central heating system which uses convection currents to move warm air around the room. As heat rises, most of the heat created from the radiators ends up on your ceiling. And what’s more underfloor heating removes the need for any radiators. 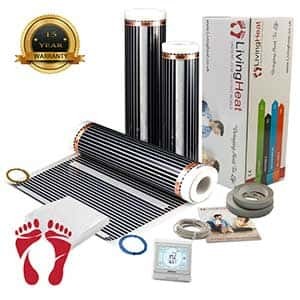 Living Heat stock all the best electric underfloor heating systems available from leading brands and manufacturers as well as our own under floor heating systems. This allows us to offer the widest choice of electric underfloor heating systems at the lowest prices anywhere online or in store. Listed below are all of our most popular underfloor heating systems, insulation’s and thermostats. UNDER TILE HEATING is designed for use under tile and stone flooring. Available in both 150 and 200 watts/sqm output, both options can be used for simple floor warming or as the primary heat source. The high powered 200w/sqm system is ideal for use in cold or high heat loss area such as conservatory heating. The 150w/sqm systems is ideal for all other areas as a primary heat source as long as suitable insulation is installed and sufficient floor coverage is achieved. UNDER TILE LOOSE WIRE HEATING CABLES are like the mats, also designed for heating under tile and stone floors. Loose wire heating cables are ideal for use in irregularly shaped areas such as bathrooms as the heating cable can be laid in any direction to easily fit into awkward areas or follow any shape such as a curved shower tray. The underfloor heating cable can achieve various wattages per/m2 by altering the spacing between cable runs. The closer the cable runs the higher the wattage per m2. This provides the installer with total flexibility when installing loose wire heating cables under tiles and in awkward areas. Under Laminate Wood and Vinyl Heating. UNDER LAMINATE AND WOOD FLOOR HEATING FILM is designed for use under laminate and wood floors. At 200w/sqm it is one of the only systems capable of being used as a primary heat source directly underwood and laminate floor coverings. Suitable for all non-wet areas this heating it is ultra-powerful but still very gentle on the floor covering. It is also the thinnest system available as the heat mat measures under 1mm in thickness. You may also wish to consider our 150w heat foil which is also suitable for wet areas with wood and laminate floor coverings. Heat foil is also, like heat film, suitable as a primary heat source as long as the correct underfloor insulation is installed and adequate floor coverage is achieved. IN SCREED UNDERFLOOR HEATING CABLES are designed to be buried in a floor screed. 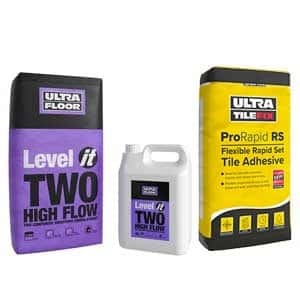 Once screeded over, any type of floor covering can be fitted over it. This system is perfect for under carpet heating, under laminate heating, under vinyl heating or under tile heating. Typically this heating is used for new builds and extensions where floor screed will be installed. A major benefit of increased heating is the protection the screed provides over the heating cable. This allows the floor covering to be changed at any time to virtually any covering without worry of damaging the under floor heating. UNDERFLOOR HEATING INSULATION is often overlooked. Fitting the correct insulation is of great importance. Insulation will greatly reduce the running cost and also minimise the response time of all underfloor heating systems. With the correct insulation electric underfloor heating is often the most responsive and also the cheapest way of heating your home. 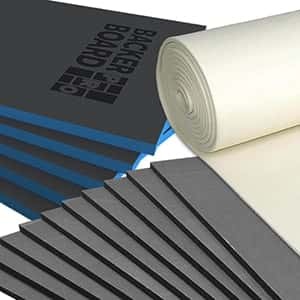 Living Heat stocks many types of insulation, including Marmox, type tile backer boards, cement reinforced insulation boards, hard insulation boards, and impact plus thermal insulation, all available in 6mm, 10mm and 20mm options. 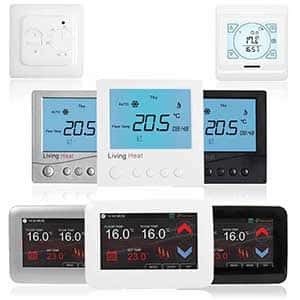 UNDERFLOOR HEATING THERMOSTATS are designed to be stylish, easy to use and reliable. 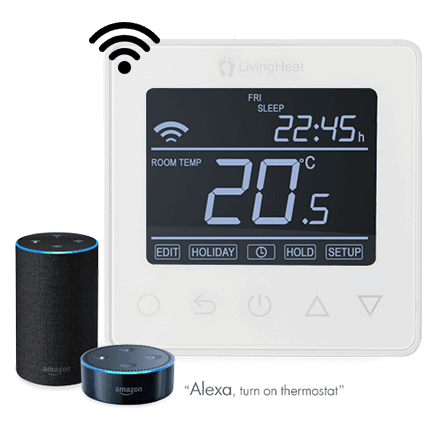 The Living Heat thermostat range includes color touchscreen thermostats, digital programmable thermostats, and basic manual thermostats. All our thermostats have external floor temperature sensors included as standard. Also keep a lookout for our new WiFi thermostat, coming soon! Need Electric Underfloor Heating Help? 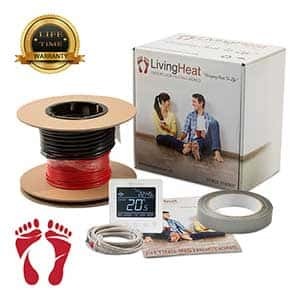 No need to worry – Living Heat offer all the help you could ever need. 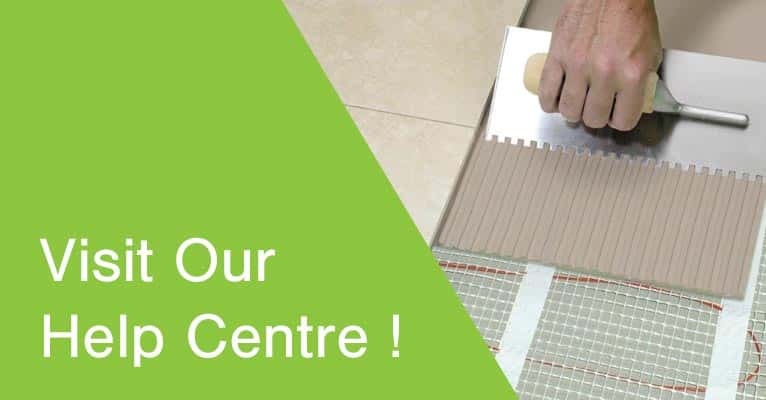 Simply follow the link on the left which will take you through to our online electric underfloor heating help centre. Or get in touch with one of our underfloor heating advisors who will help you on your way.